It’s only been a few weeks since we announced our GA release and shipped lots of new features, but we’re very glad to announce another update to Power BI Desktop. As we mentioned to you in previous blog posts, GA is only the beginning and we are going to continue delivering lots of new features to you in Power BI Desktop, every month. Ability to multi-select items in Navigator (CTRL+Click, SHIFT+Click, etc.). 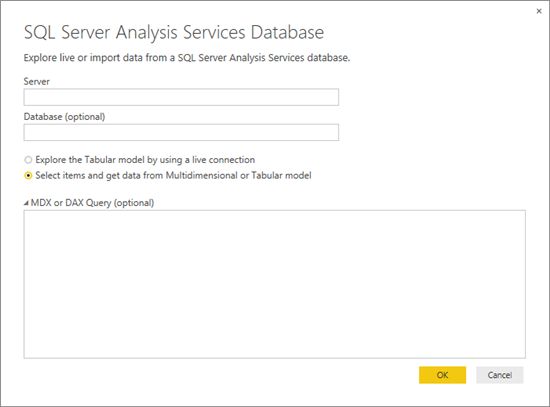 Live Analysis Services Connections: Ability to change the database from Edit Queries dialog. In addition to all these new features, we’re also including lots of bug fixes in this release based on issues reported by many of you. There are certain areas like Publish Reports for which the quality and robustness have been greatly improved in this update. You can watch the following video or continue reading below for a detailed description about each feature. 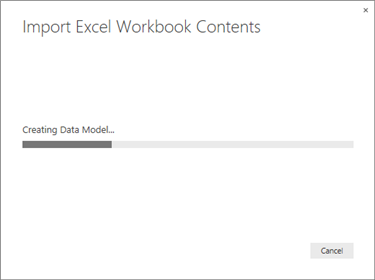 This feature makes it possible for users to convert their Excel Workbooks containing Power Query queries, Power Pivot models and Power View worksheets into a Power BI Desktop file. This is a one-time operation to help users get started in Power BI Desktop with their existing reports. After this conversion is completed, users can continue working on their reports in Power BI Desktop and benefit from all the new features added to the product every month. While we plan to have other means of communication (import/export) between Excel and Power BI Desktop in the future, the current feature allows existing Excel users to get started with Power BI Desktop. 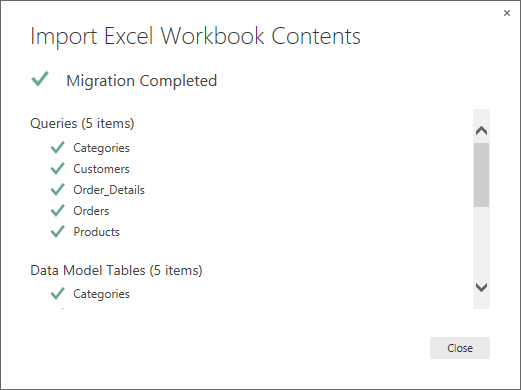 Users can access this feature by clicking the File Menu and using the Import -> Excel Workbook Contents entry. Users will be asked to specify the location of the original Excel Workbook and then the conversion to a Power BI Desktop file will start. Progress and final results are shown to the user as part of this experience. After the process is completed users will see a summary of the results, including a list of all objects that were successfully converted and any issues found. 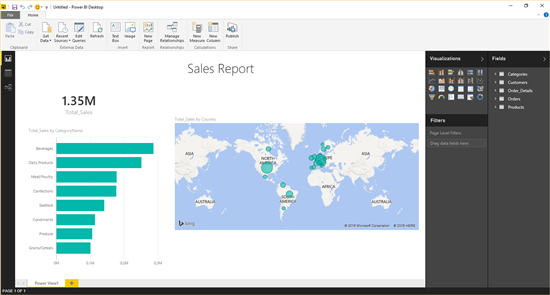 Upon clicking Close, users will be able to continue working on their report in Power BI Desktop. You can also watch this feature in action in the following video. 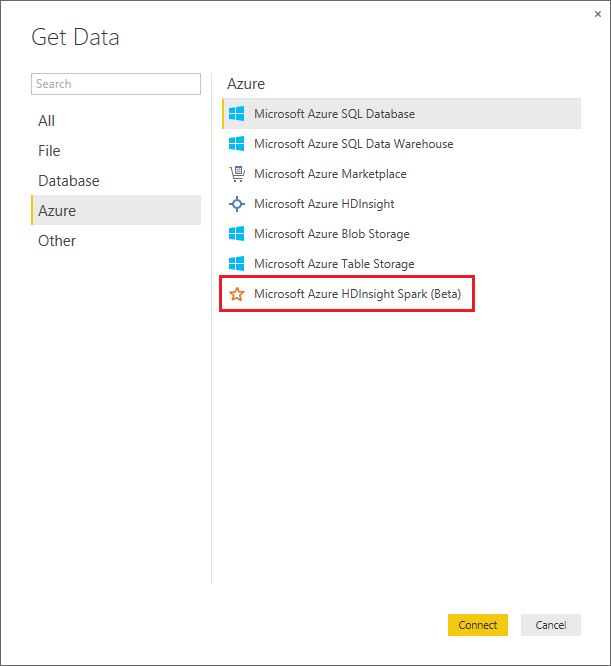 A new connector is now available, which enables users to import data from Azure HDInsight Spark. This connector can be found under the “From Azure” section in the Get Data dialog. 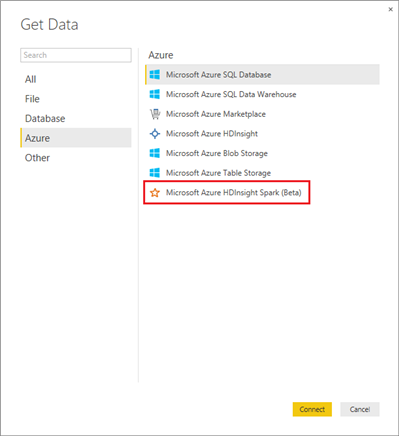 Users can specify an HDInsight Spark server to connect to and provide credentials for it. 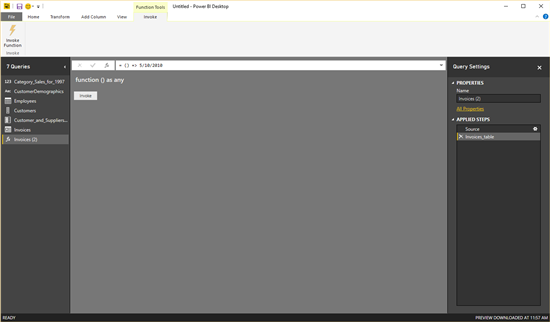 After a successful connection, users can preview and select tables from their server. 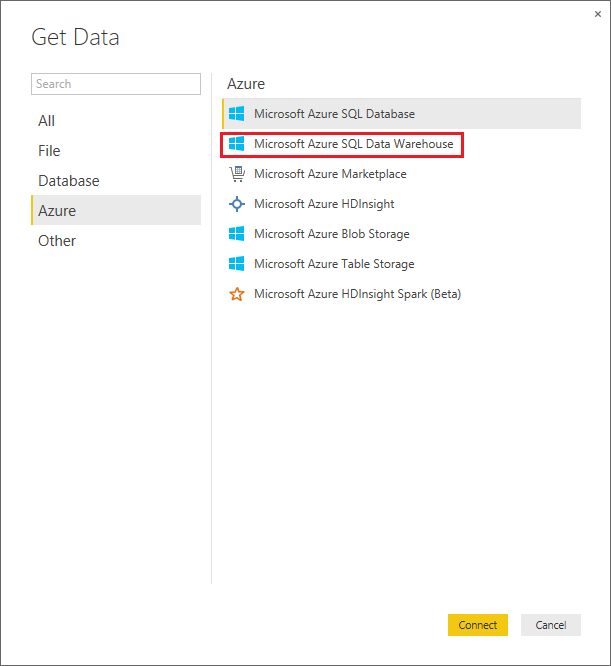 The second new connector this month is a new connector for Azure SQL Data Warehouse. 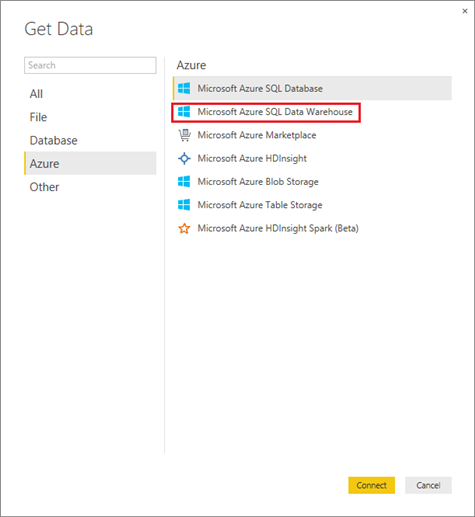 This connector can be found under the “From Azure” section in the Get Data dialog. 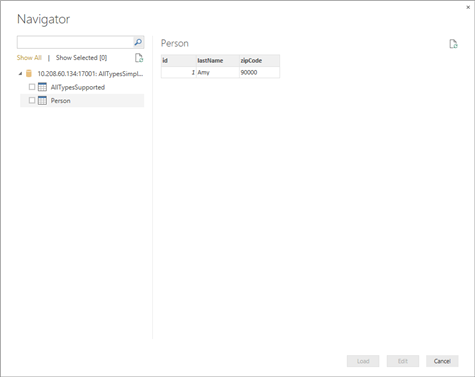 Similarly to other connectors, users will be able to preview & select one or multiple tables in the Navigator dialog, and decide whether to load the tables directly or edit them first. In this update, we have added the ability to provide a custom query in MDX or DAX when importing data from Analysis Services. Note that this only works when using the “Select items and get data” option. – Resizable Navigator Dialog: Users can now resize the Navigator dialog, so that they can easily preview tables with lots of columns. – Ability to multi-select items: Users can now use keyboard shortcuts to select multiple items more easily in the Navigator dialog, such as CTRL+Click or SHIFT+Click. The first set of Query Editor improvements is around making many of the Query Group operations easier. 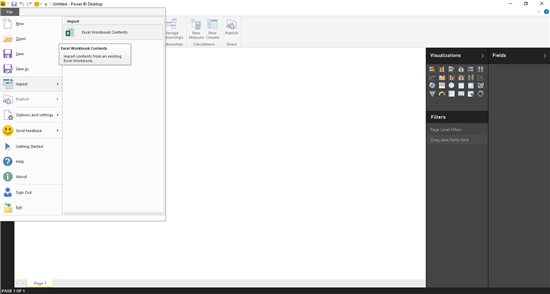 All these options are available in the Queries pane, via context menus for queries & query groups. Create New Group option, without having to send some queries to this new group. This option can be found as a right-click menu entry for any given step in a query. When clicked, users will be asked to provide a name for the new “base” query. The final result is a new query containing all steps prior to the one that was selected, with the original query containing a reference to the newly created one. Users can then create new queries that reference the “base” query. 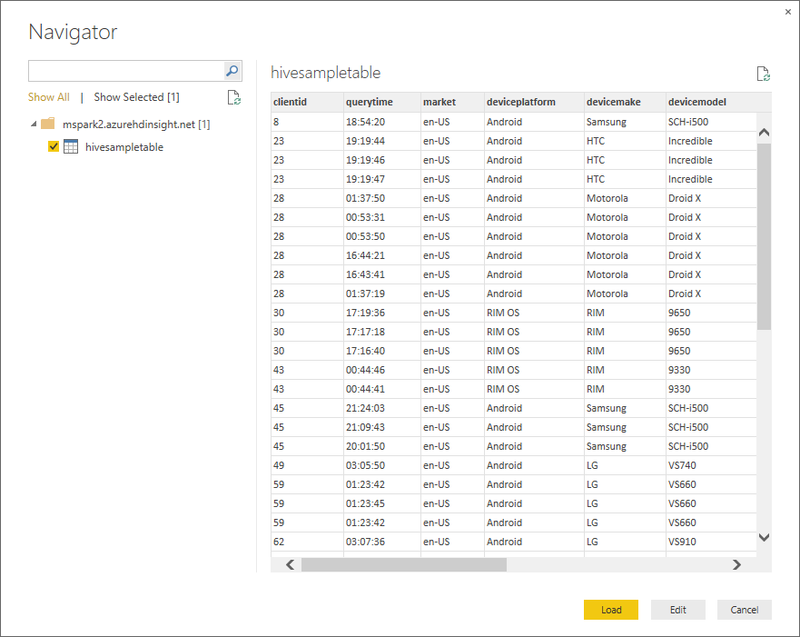 The last The Queries navigator in the left side of the Query Editor dialog has been improved to capture the type of each query. 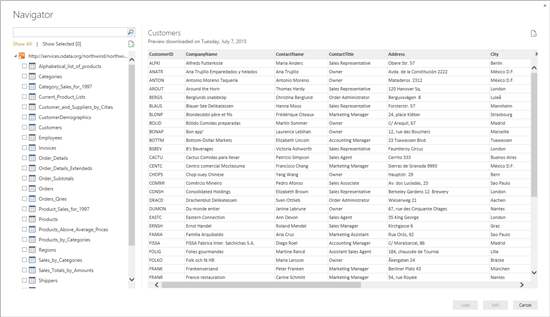 This is represented with different icons for each query in this pane. 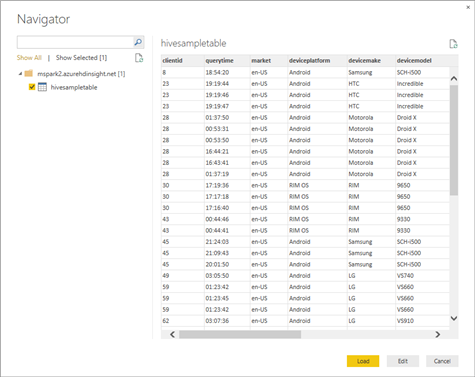 – Resizing of Columns in Data view: It is now possible to resize columns in the data preview area within the Data view. Users can hover over the border of a column and drag & drop to the desired width, or double click it to auto-adjust based on the content. – Moving Measures from one table to another: Users can now easily move measures from one table to another, without having to recreate the measure in the destination table. 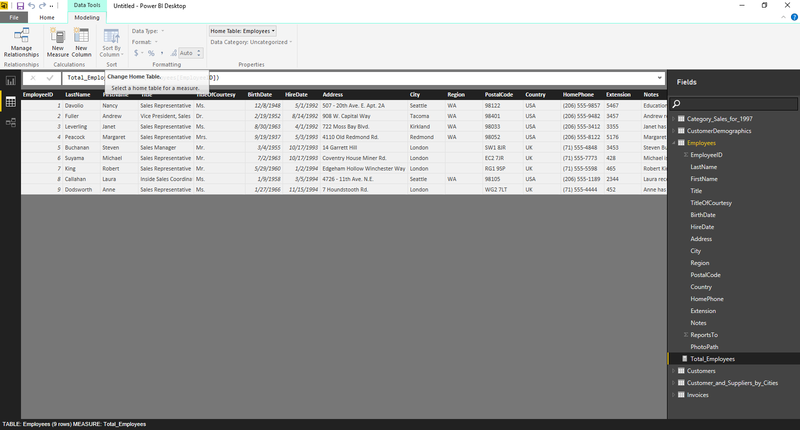 Users can simply select a measure and use the “Home Table” option in the Data Tools – Modeling tab in the ribbon. Based on feedback from many of you, we have improved the Edit Queries dialog for Live Analysis Services connections to allow users to modify the database and model, in addition to the server (which was available in our previous release). After confirming the Server name and clicking OK, users are presented with the Navigator dialog where they can browse to the right Database and Model, just like they were able to do on the initial connection. That’s all for this month’s update. We hope that you find these new features useful. 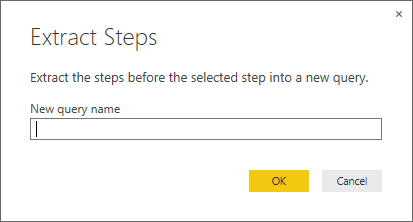 Please continue sending us feedback by using the Smile/Frown options in the product or by leaving your feature suggestions for what you’d like to see next in Power BI Desktop. In addition to the usual feedback channels, this week we’re running a survey. 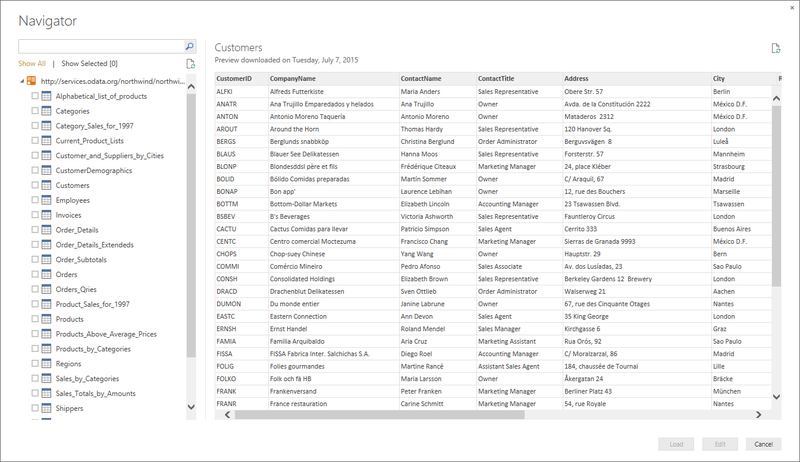 We are considering a new feature in Power BI that will help users automatically create formulas for their reports. For the purpose of this discussion, we are calling this feature Quick Calcs. Quick Calcs would provide a set of commonly used calculations. Possible examples include “Percent of Total”, “Median”, “Period over Period growth”, and so forth, that we can generate on demand with very little user input. Users will not need to write the formula in the formula bar. We’re specifically interested in which Quick Calcs you would use. Please take this survey to provide your input. There are also a few questions about the kind of work you do, to help us better understand you. Please do not consider this survey to be a promise that we will build this feature. This is an investigation to help us determine what we should build.